The Lifehouse is the new cancer care specialized hospital at the Royal Prince Alfred Health Care Campus. 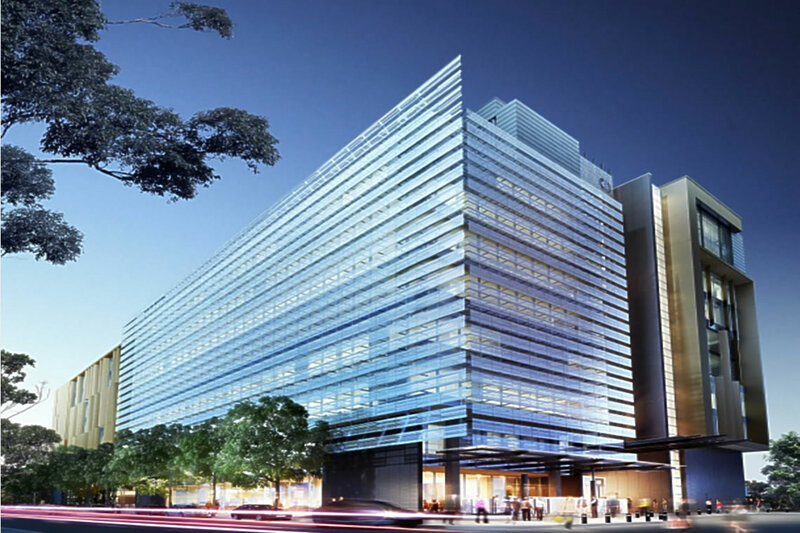 The building comprises 11 Levels of hospital accommodations with total occupied floor area of 30,000 m2 and 2 levels of basement car parks with floor area of 8,000 m2. A pharmacy department, including a cytotoxic suite. Inpatient wards, including isolation rooms. The building was designed to achieve a minimum of self-accredited 4 star Greenstar rating. Basement car park mechanical ventilation systems. Central heating and chilled water plant including a dedicated low temperature chilled water system, serving 13C heart surgery operating theatres. Full mechanical air handling plant, providing air conditioning and ventilation to all areas including energy recovery arrangements. Prefabricated duct and pipe systems to reticulate air and water to various areas of the building.